Your wedding is more than a celebration of the love between you and your future spouse and a ceremony of joining you together as one. It is also a celebration of those most important to the both of you, and a joining of two families. It’s common practice to have bridesmaids and groomsmen stand besides the two you to serve as witness and supporters on the most important day in your life. So it’s no surprise that engaged couples often spend a lot of time deliberating over who exactly should be a member of the wedding party. Here, we’re going to explore different ways brides and grooms have approached this decision, and provide you with advice on how to narrow them down. This way you can rest assured that you’ve picked the best people for the job for your big day. To some, it may seem like little more than tradition, but there’s good reason for considering family members as your bridesmaids and groomsmen. In most cases, they’ve known you longer than any of your friends, and they’re likely to be the ones who will remain in your life long-term. Family members tend to be some of the most influential people in your life and that relationship usually just gets stronger over time. If you have a really big family, it may be best to choose those closest in age to you or to cut the party off at the teenagers. If you’re still having trouble narrowing down your bridal party consider your future with the members of the wedding party. When thinking about the people you’re currently on the fence about inviting to the party think about your life five, ten, or even twenty years from now. Are they going to still be in your life? Can you imagine life without them? Will you be glad to invite them to your anniversaries? Fair-weather friends or short-term connections might not be suitable for your wedding party. You don’t want to look back at your wedding album and wonder why you ever invited them to be in a place of pride beside you and your closest friends and family. Traditionally, four is the most common number for bridesmaids groomsmen. If you want to play with those numbers, you’re welcome to, but these days you should feel free to choose however many bridesmaids and groomsmen you’d life. However, you may want to keep in mind the overall size of the party in comparison to the wedding. For a smaller weddings that have fewer than 60 guests, you may not want a wedding party that makes up a sixth of the total attendants. If it’s a large wedding and you’re inviting more than a hundred people, then there aren’t really any limits on how many bridesmaids and groomsmen you should pick. The responsibility that is involved with being a groomsman or a bridesmaid will differ from wedding to wedding. Organizing the pre-wedding parties for the bride and groom might be the only duty you entrust them with. 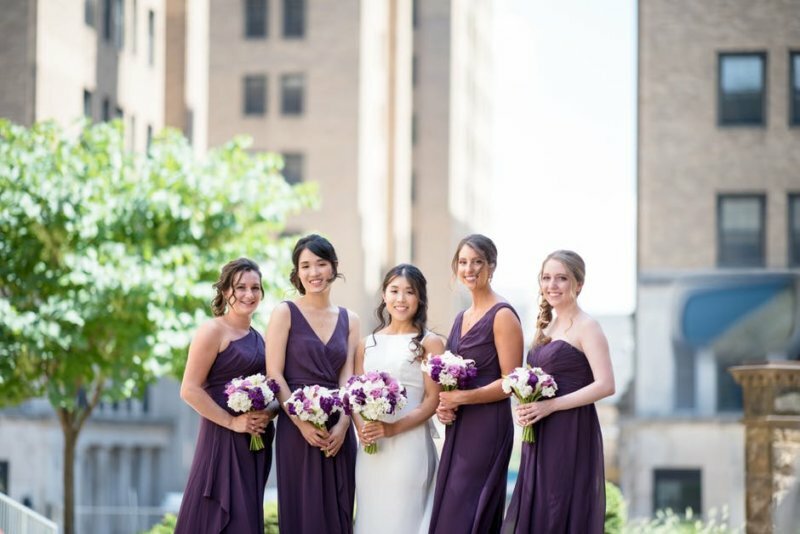 However, bridesmaids and groomsmen are also often involved in helping with wedding invitations, choosing the wedding wear, and providing logistic support. You should also take who gets the top position of maid of honor and best man seriously. These are the people who are typically in charge of some of the most important tasks, like holding the rings, as well as providing emotional support if there are any jitters to be dealt with. If you’re not expecting your bridesmaids and groomsmen to be too involved with things, then you don’t need to worry about these things. However,if they have responsibilities to take care of, you might want to select someone who will be reliable with anything they arein in charge of. Choose people you can trust with whatever level of responsibility the role entails. One point of awkwardness is when you have someone you don’t really want in your wedding party, but you feel obligated to ask them anyway. Most often, this is because you were a bridesmaid or a groomsman in their wedding. You have to take into account whether they are truly likely to be an important part of your family life in the future and how much you value your relationship with them. It might cause a little embarrassment, but it’s better to ensure that your wedding party only includes people you feel are closest to you. Plenty of men have female best friends and sisters they are closer to than all their male friends. The same goes for women and their male friends and brothers. You don’t have to split the wedding party evenly down gender lines. 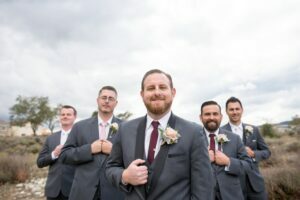 You can just as easily call your sister a “best woman” or your friend a “man of honor.” It can even make the wedding outfits a little more unique if a member of your entourage are wearing a dress that matches the groom’s suit instead of another tuxedo. 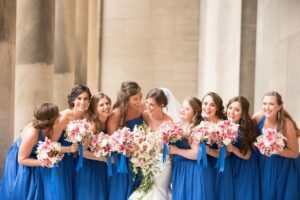 When thinking about how to choose bridesmaids between a collection of ten people you consider your “best friend”, it can be difficult to avoid hurting anyone’s feelings by leaving them out. Make the choice easier for yourself by giving them fewer spots to feel hurt about. If you can more easily narrow it down to the three most important people in your life, instead of the four most important people in your life, do it. Lastly, it might be worth considering the different personalities of the bridesmaids and the groomsmen and how they get along with one another. You are going to be spending a lot of time with this core group. If it will cause you more stress to include people who dislike each other, you may want to reconsider. Your wedding party doesn’t have to be the best of friends. However, if there is one person that’s particularly abrasive or critical that presents a high risk of drama, it may be best to consider including them in your celebration in another way – like doing a reading. There is no definitive answer to how to choose groomsmen or how to choose bridesmaids. It’s all about picking the people closest to you, who are best suited to the responsibilities it involves, and who can make the most cohesive wedding party possible. Let the tips above guide you towards those choices that make the most sense, but don’t be afraid to go with your gut. If you both really want a particular individual in your wedding party, you should ask them.